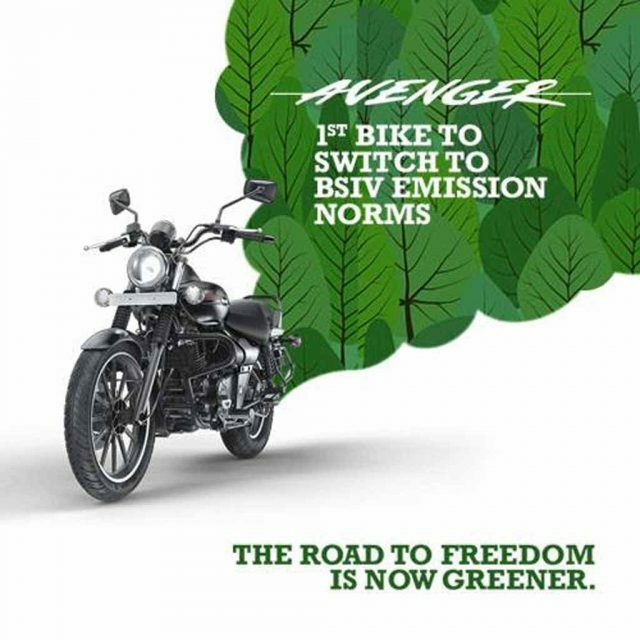 Bajaj Auto has announced on Facebook, that the Avenger is the first bike equipped with BS-IV emission norm complying engine. Interestingly, the newly launched Bajaj Pulsar 220F is also equipped with BS-IV engine and it is already on sale. While Bajaj Auto’s Facebook post shows an Avenger Street claiming it to be equipped with BS-IV engine, the official website is yet to show any changes yet and this has created little bit of confusion. Bajaj Auto is among the front-runners to meet new emission norms, which is about to be implemented in India soon. The company is refreshing its very popular Pulsar line-up with the BS-IV engines. While Pulsar 220F was already launched few days, the Pulsar 180 is also ready to get introduced. Apart from that, the home-grown two-wheeler manufacturer will also introduce BS-IV engine to the Pular 150, AS200 and AS150 as well. 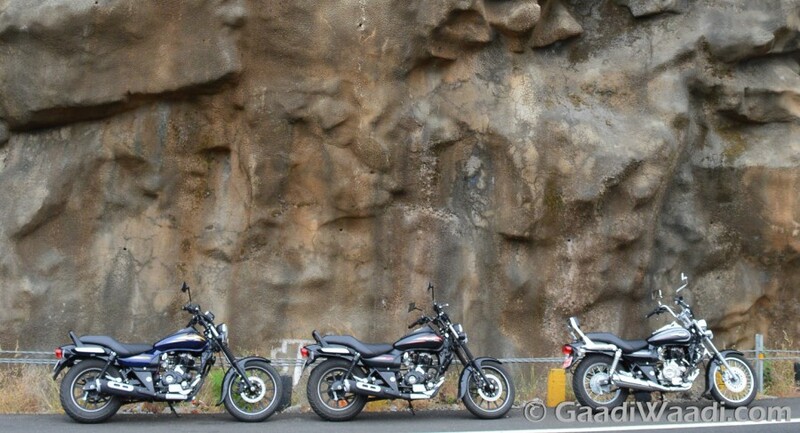 The Bajaj Avenger range comprises three different models, which are Street 150, Street 220 and Cruise 220. The Avenger Street 150 is powered by a 150 cc DTS-i single-cylinder, air-cooled engine mated to a 5-speed transmission. This engine is capable to kick out 14.54 PS of peak power at 9,000 rpm and 12.5 Nm of peak torque at 6,500 rpm. The Avenger Street 220 and Cruise 220 share same engine as power source, which is a 220 cc DTS-i single-cylinder, oil-cooled engine paired with a 5-speed transmission. This engine churns out 19.03 PS of peak power at 8,400 rpm and 17.5 Nm of peak torque at 7,000 rpm. The updated Bajaj Pulsar models come incorporating little bit of cosmetic changes along with BS-IV engines. 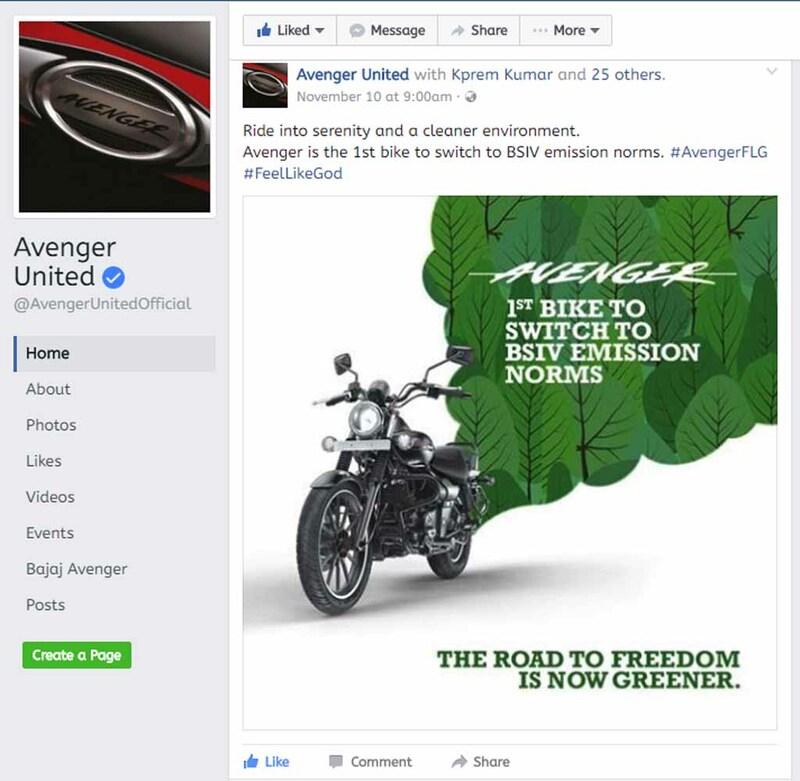 But, from the image posted on Facebook by the Bajaj Auto, it seems that the upgraded Avenger doesn’t get any cosmetic updates. Presently the Bajaj Avenger Street 150 is available at Rs. 76,989 (ex-showroom, New Delhi), while its bigger siblings Avenger Street 220 and Cruise 220 are priced at Rs. 87,331 (ex-showroom, New Delhi). Post BS-IV upgrade, these models are expected to come with increased price tags, which are yet to be announced.